With Shazam being the next big film in the DC line-up, fans are curious about what’s next for DC. Later in October of this year, Warner Bros will be releasing their newest DC film, Joker directed by Hangover director Todd Phillips and starring Joaquin Phoenix as the iconic villain. The film is said to be an origins movie based around Batman’s most iconic adversary. This may seem somewhat confusing given that the film has been said not to directly tie into the DC Cinematic Universe, especially with Jared Leto portraying the Joker in Suicide Squad nearly 3 years prior. Regardless though, fans are curious to see what a high profile actor like Joaquin Phoenix will have to offer in performing as the psychotic clown. Todd Phillips recently posted a new image from the movie on his Instagram page. 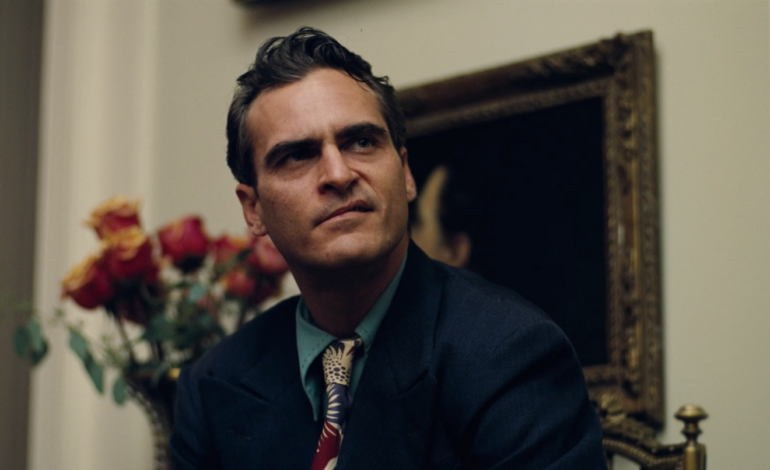 The black and white image has Joaquin Phoenix in a very Joker-esque outfit with his hand on an old TV while he stares at it intensely. The film is said to take place in the 80s, therefore an older look for the movie’s setting does make sense. With this new image release and Shazam hitting theaters within the next few weeks, it’ll be unsurprising if we get the first official trailer for the Martin Scorsese-produced Joker movie, which could make or break fans’ anticipation for the direction of this character. Joker is set to release on October 4th 2019.